THEE HOLY GHOSTS hail from Gainesville, Florida. This is their self-titled EP on Shithouse Records which covers a wide range of influences, ranging from bluesy garage rock, 50s doo-wop and pulsing surf punk to name a few. Together the three piece band recorded this collection of songs on a four track recorder through the months of February and March. The results were excellent as they left with a 25 minute batch of music that makes it difficult to call these guys anything but a solid garage rock band. They bring to mind a band like the Estrogen Highs (or even Dead Ghosts) who also manage to bring a good amount of musical variation to the table and that’s exactly what Thee Holy Ghosts have done here. They set the tone early on with “I Can’t Take It,” an absolute surf-rock banger that shows these guys are ready for a good time. A bit later, a song like “Saturday” holds some folksy country vibes with it’s twangy guitars, while another track like “Seen a Ghost” offers up a rowdy form of shuffling garage rock that will force you to get your feet moving. Following that, the untitled track screams evil, twisted surf rock and a later track like “Ghetto Pop Song” proves to be the most accessible with its glimmering guitars and crooning vocal howls. Toward the end of the EP “Standing Alone” is where the 50s doo-wop comes into play, followed by the foreboding “Tribute to Charlie” to close it all out. Check these songs below and see just how much Thee Holy Ghosts can vary their sound. Also, don’t forget to go download the entire EP for free. Hopefully this isn’t all we get to hear from these Gainesville garage rockers. 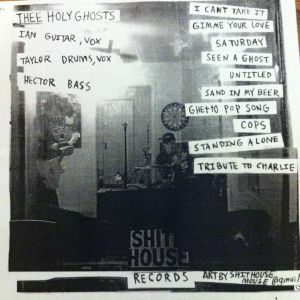 DOWNLOAD the entire EP for free on Thee Holy Ghosts Bandcamp !!! 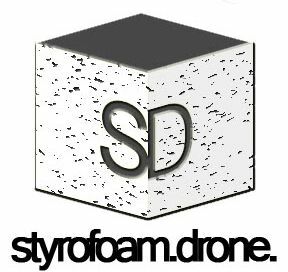 Posted on May 17, 2012 May 21, 2012 by styrofoamdronePosted in EP, Reviews, Still Spinnin'Tagged experimental, garage rock, Lo-Fi, pop. what do you rate the record? SS for still spinnin’! just added that to the post. Made note to check out Raw Nerves & Jensen Surf Co, cool!! both highly recommended! do it!